Shopify was founded in 2004, its headquarters are based in Ottawa, Ontario and they reportedly support over 300,000 merchants with their hosted ecommerce platform software. Basically, Shopify makes it easy for people who know nothing about programming, coding and web development to startup and run their own online store. 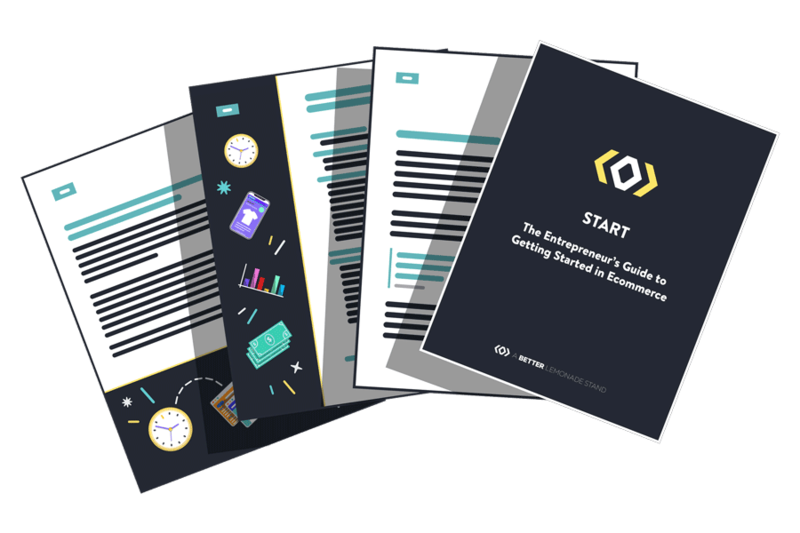 They do this so entrepreneurs can focus on the building the aspects of their business they excel at without having to worry too much about the technical stuff. For most ecommerce entrepreneurs, Shopify will always be the best choice. There are so many different ways to make Shopify’s ecommerce platform work for any business model, no matter what kind of business model you plan to operate. 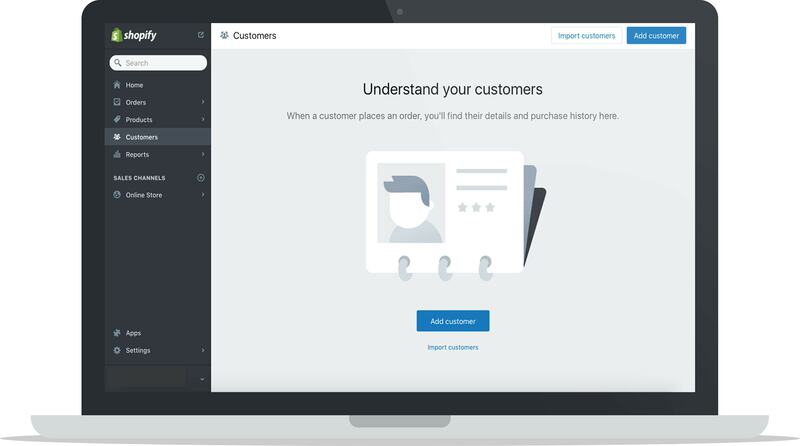 Since Shopify is the leading ecommerce platform, additional features such as apps and themes are made for Shopify first before any other ecommerce platform and other tools and services that ecommerce businesses use such as email list services, dropshipping suppliers and shipping, and fulfillment services will always be easy to integrate with Shopify first if they are able to integrate with any ecommerce platform at all. In this post, we’re going to discuss what’s so special about Shopify and what types of services they offer. If you haven’t already tried out Shopify for yourself you’ll get an idea of what to expect from them and if you already use Shopify for your online store you might learn something new about what they can offer your business. Let’s jump into it. For stores selling great products they want to make available to other retailers, now there’s a wholesale option. This password-protected, stripped-down and simplified version of your store enables you to offer a seamless wholesale experience for the retailers you work with. Click here to read more about Shopify’s Wholesale Channel. You now have the opportunity to get your products in front of the eyes of BuzzFeed’s editors with the new BuzzFeed sales channel integration on Shopify. Tag your products to be searched and found by BuzzFeed editors for the chance to get your products featured in front of their audience of over 200 million users. Read more about Shopify’s BuzzFeed Channel here. This feature has been available for a while but it’s flown under the radar so much so that we forgot to mention it initially. Regardless, it’s a useful resource that provides free stock photos for either personal or commercial use. Considering that there are so many stock photo resources available on the web, some are free and some you need to pay for, some of the images can be used for personal and commercial use, some only for personal use, etc. so it can get a bit confusing. Shopify Burst makes finding stock images a little less confusing and a little more accessible for businesses and entrepreneurs to use on their websites. Check out their various collections of images ranging from coffee, fitness, men, women, flowers, food, flatlays, and more. Beyond that, Shopify Burst also profiles trending business ideas and provides case studies on each idea that include supplier information, marketing tips, business model insights, and free images. It’s definitely worth checking out. Shopify has now added an ecommerce store marketplace to their repertoire of services, known as Shopify Exchange. Buy or sell Shopify stores via Exchange and either skip the store setup and start selling right away or pass your store on to another owner who can benefit from the hard work you’ve already put in. If you’re looking to purchase a store just browse on the Exchange website, speak directly with sellers and get access to the revenue and traffic data that’s available to Shopify. To sell your store on Shopify Exchange simply download the Exchange app to your store and wait for buyers to contact you. Even though this marketplace has just rolled out we already anticipate it being one of the most trusted ways to buy and sell Shopify stores. 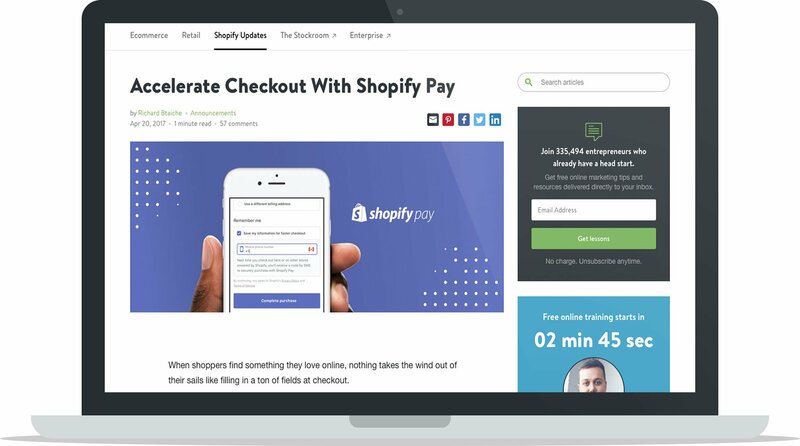 Shopify has now made the checkout process more seamless for customers by enabling it to occur on your own domain as opposed to directing customers to the “checkout.shopify.com” domain, as it previously had been. This is a huge advancement for the overall customer experience, as customers can now confidently shop on your store’s branded domain without switching over to the Shopify one. This new feature is free for all merchants and will automatically be applied to all Shopify stores. Learn more about checking out on your own Shopify domain here. In April, Shopify announced the new Chip & Swipe hardware and in July they started shipping pre-orders of the device, but now the Chip & Swipe Reader is available to all US Shopify merchants. This device helps take your business beyond the realm of ecommerce and to wherever you need to be – whether it’s at a festival, your own boutique, or a pop-up shop. It makes selling in person more convenient and gives you the flexibility to sell to your customers where they are, all while staying synced in your Shopify dashboard. Check out the Chip & Swipe Reader here. Shopify has further improved their functionality for stores to sell seamlessly on Amazon by including 7 new product categories so you can create a variety of listings, manage your inventory and fulfill orders to Amazon customers, all from your Shopify dashboard. Find out more about selling on Amazon from Shopify here. Shopify has now unveiled Shopcodes which are QR codes that consumers can scan to be directed to a specific product on your Shopify store. You can generate them with the free Shopcodes app and use them on your product packaging, on packing inserts, at pop-ups, in your retail store or even in offline adds. Learn more about Shopcodes here. Checking out on Shopify ecommerce stores will now be much more seamless as the Google Autocomplete software is currently rolling out to all Shopify stores. This technology comes at no extra cost you as the merchant and will account for less friction at checkout for your customers. Learn more about the Google Autocomplete feature here. 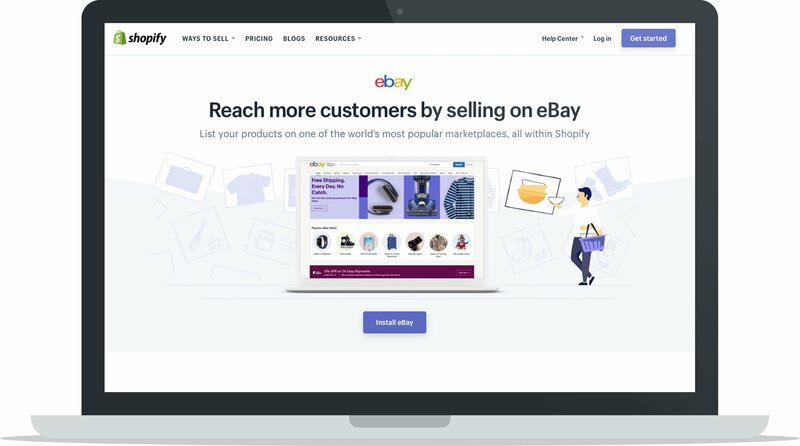 The new eBay sales channel syncs effortlessly with your Shopify store to help you easily create listings and sell to over 171 million active buyers on eBay. With this integration, you can easily manage inventory, fulfill orders, reconcile revenue, set unique prices for eBay listings and communicate with customers all through your Shopify dashboard. Learn more about selling on eBay with Shopify here. For ecommerce businesses looking to extend their reach and get their product in front of a larger audience, selling on Amazon is one of the best ways to acquire new customers by selling on a populated marketplace. Shopify can help you bridge the gap between Amazon and your already existing Shopify store. 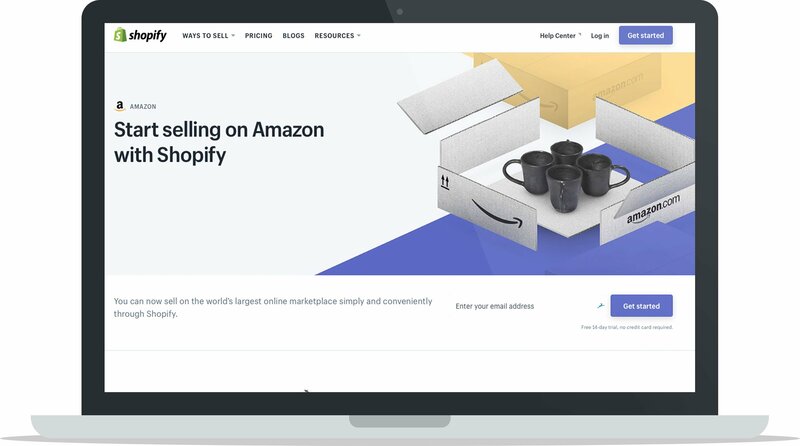 As one of their best features, Shopify’s Amazon sales channel allows you to create and manage your Amazon listings, track your inventory and fulfill your orders just like you normally would for your Shopify store, but for your Amazon customers as well. See all transactions in real time in your Shopify dashboard and manage your business’ most important information from one place so you’re never over-selling inventory or forgetting about revenue earned. 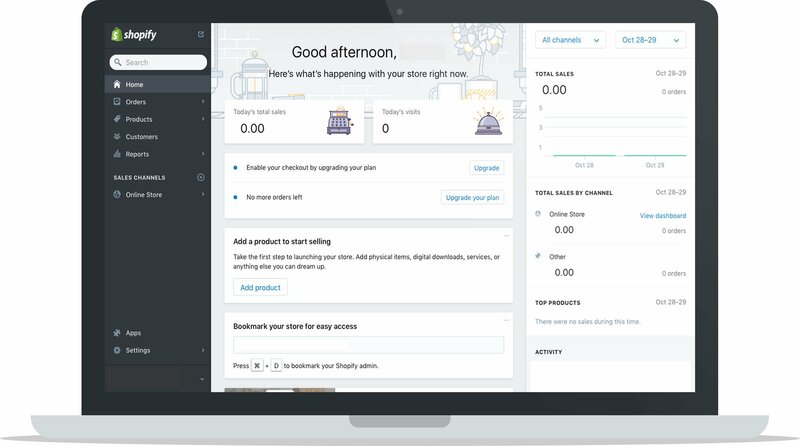 Shopify makes it seamless to sell both on your own store and Amazon, as well as their other sales channels, all from one dashboard. By listing your products within any of these 8 categories you can get your products in front of Amazon’s huge audience of customers (more than 300 million as of last year) and manage your sales and inventory smoothly and seamlessly. Monitor all transactions in one place, create Amazon listings directly from your Shopify dashboard, manage your inventory so it’s always properly accounted for, and fulfill orders as usual. If you’re new to selling on Amazon, we’ve dedicated an entire blog post to the topic so you can learn how to sell your products on their marketplace and take advantage of their vast customer base more effectively, so learn more about How to Successfully Sell Products on Amazon here. However, if you’ve already been selling on Amazon and are Brand Registered on Amazon, you can submit your Brand Registered listings directly from Shopify, so you can still manage your entire selling process from one dashboard. All you have to do is add your Amazon registered brands into Shopify and then you can easily create new listings and manage any existing listings. You must have a Professional Seller account on Amazon Seller Central, with selling on Amazon.com enabled. You must sell in USD. You must be on an active Shopify Plan. Once you meet these three eligibility requirements you can add the Amazon sales channel to your Shopify store, activate it, and you’ll be ready to go! If you’re interested in selling your products on Amazon as well as your Shopify store and managing your products and orders across both platforms within your Shopify dashboard, then add the Amazon sales channel to your store so you can seamlessly keep track of your orders and revenue in one place. Back in the day, you had one chance to operate a successful business. Things were different: businesses only existed as brick-and-mortar shops and entrepreneurs had to shell out huge amounts of money to pay for their business venture which, if they financed through a bank, they were taking a huge personal risk. Not only would they have to provide personal assets as collateral but if their business venture failed they would essentially become radioactive to every bank within their reach and be unable to take out a loan ever again. Luckily for us, starting a business isn’t that difficult anymore. Through Shopify’s platform, you can start your own small business right here, right now, for monthly payments that are probably lower than your cell phone bill. If your store doesn’t work out, you can pause or completely cancel your payments without any repercussions. It’s easy. Besides the monetary aspect of operating a small business, Shopify as an ecommerce platform supports small business operations because it takes so much of the work and technological expertise off the shoulders of business owners. Most people who are or want to become entrepreneurs don’t have a vast understanding of the web development and coding that’s necessary to run a successfully self-hosted website that’s secure to use, beautiful to look at and entirely functional. Of course, it’s possible to learn how to set up a secure, beautiful and functional self-hosted website without needing any official education, however, each of these things will need to be maintained over time for optimal performance, and if performing this maintenance doesn’t come easily to you, then it can be a very time consuming and frustrating experience. Shopify does all the maintenance for you so you can operate a secure, beautiful and functional website for your online business without worrying. What you pay Shopify each month to use their service is like paying an employee to fix all your tech issues so you can manage the product development, customer service, and strategic planning; except, you don’t actually have to have an employee. Shopify just handles their end, so you can handle yours. Since Shopify is so efficient at handling things from their end, corporations have migrated their businesses over to Shopify so they can handle the technical stuff and the corporations can focus their attention elsewhere. It’s the same as it is for small businesses, just on a larger scale. Companies like Red Bull, Kylie Cosmetics and MVMT Watches operate via Shopify Plus, which is a subset of Shopify’s ecommerce platform made for high-volume and fast-growing merchants. If it works for them, it can work for you too. Since there’s no coding experience needed to develop your own unique ecommerce store on Shopify, they’ve made it super easy for you to make the adjustments you need to every part of your store. They give you options, you pick what you want, fill in the blanks and you get your own customized store. Of course, if you’re completely new to using Shopify there will be a bit of a learning curve figuring out exactly where everything is located on the backend, but everything is laid out in a completely accessible way so you can just move step by step making adjustments as you go. Get an overview of what’s going on with your business. See today’s sales and visitors, view recent activity, and get an overview of Shopify announcements. Manage, track and view orders that have been made and draft up orders for customers who place them over the phone. Add your products into this section, import your existing product inventory, manage inventory transfers, enable inventory tracking, organize products through collections and sell gift cards. Whenever a customer places an order this section will show their details and their purchase history. Get an overview of your store’s sales, refunds, taxes, payments and view your dashboard that details your visitors over time, your conversions and other specific information. 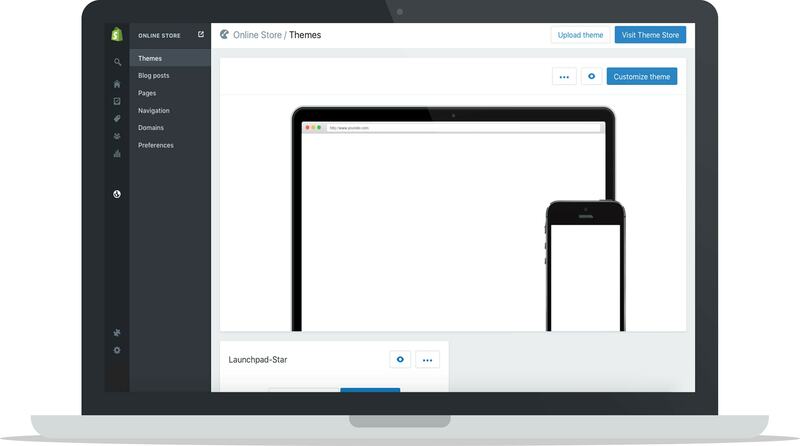 Make adjustments to the look and feel of your store by editing pages, navigation and customizing your theme. 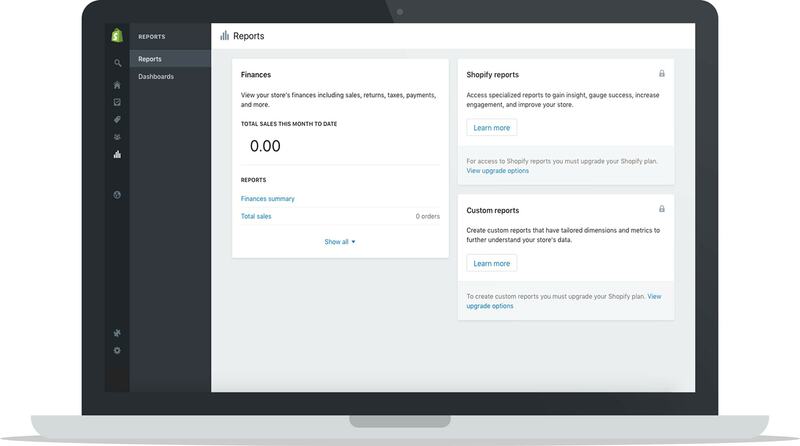 Access Shopify’s app store for tools that will help you manage aspects of your online business such as marketing, sales, social media, shipping, inventory, accounting, customer service and more. View your store details, payment gateways, checkout settings, shipping preferences, tax settings and more. When setting up a website for your ecommerce business there are essentially two choices: Set up a self-hosted website, or set up a hosted website. What does this mean? Self-Hosted websites are entirely managed and maintained by the creator of the website. All upkeep, troubleshooting, and security systems are implemented by the creator of the site and it’s their responsibility to keep them up to date, secure and working properly. Hosted websites have all the maintenance managed by an experienced and expert third party that handles the upkeep, troubleshooting, and security for the people who create websites via their service. For people who aren’t super savvy with technical computer and programming skills, it’s highly recommended that you build your website on a hosted platform. Starting a business is a learning curve in itself without having to spend time fixing technical issues when you could be working on other aspects of your businesses instead. Even people who are experienced with technical computer operations use hosted platforms because of their level of security and ease of use, so they really are relevant to everyone. It really just saves you stress and frustration from dealing with complex technical issues that are better left to an expert team so the security and reliability of your ecommerce website will never be compromised. Shopify’s hosted ecommerce service gives that peace of mind. Since Shopify is one of the best, if not the best, ecommerce platform, when apps are made to support ecommerce stores, they’re almost always made to be compatible with Shopify first. This means that Shopify’s App Store has the most up-to-date and innovative tools available to help you run your ecommerce business more efficiently. 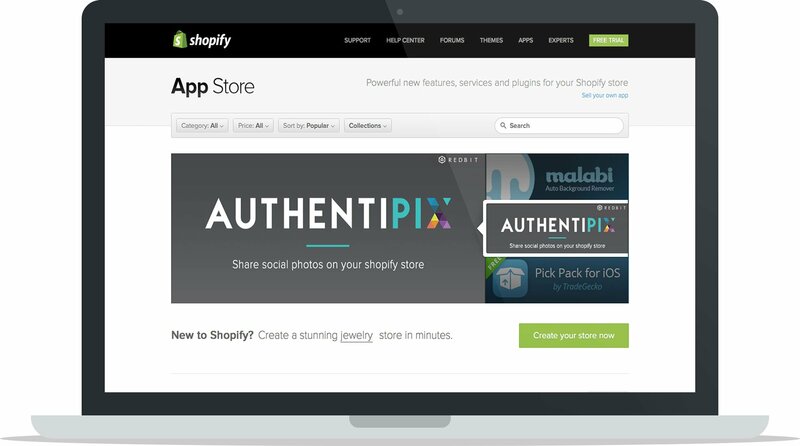 Shopify’s app store offers all types of different services you can use to amplify your Shopify store’s abilities. Ranging from marketing, sales, social media, shipping, inventory, customer service, accounting, reporting and more, there’s an app to help make your business better at anything. 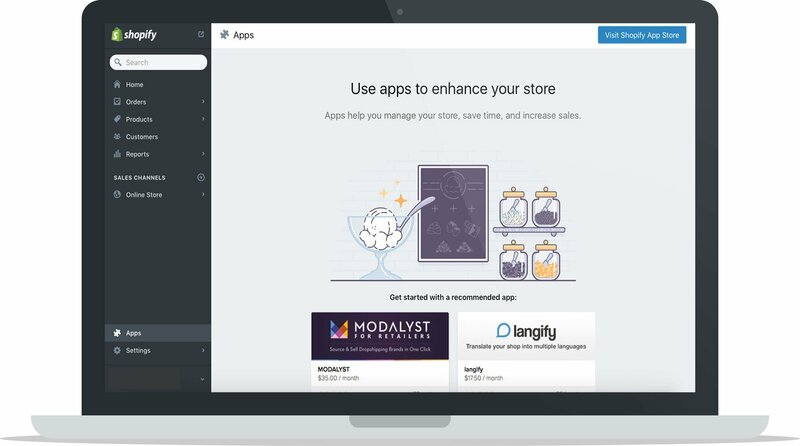 Besides Shopify having their own app store, there are other businesses that specialize in creating apps exclusively for Shopify, so if you’re looking for an app to help you operate your business that doesn’t already exist on Shopify’s app store, you can check out other app creators. BOLD Apps and Out of the Sandbox both create apps exclusively for Shopify stores and they’re renowned for their quality, so they’re worth checking out. App integration capability may not sound like a make-it-or-break-it reason to choose an ecommerce platform to build a business on, however, it means you’ll always have access to the most up-to-date tools you can use to operate your business in the best way possible. If you’re just starting out this may not seem like a big deal but, further down the line, you might find you need a tool to help you run your business better and if you have easy access to it, like you will through Shopify’s app store, then your problem can easily be solved. Not all ecommerce platforms have app stores and not all of them have the same apps that Shopify’s does, so if you’re interested in having access to the most relevant and innovative app integrations, Shopify is the easy choice to make. Compared to the fact that years ago most people had to take out a loan from a bank to create a physical brick-and-mortar business, and many people to this day still do the very same thing, being able to create a store online for monthly payments that cost you less than it probably does to go out for coffee every day of the week, is pretty remarkable. Shopify’s Basic Plan gives you access to all of their security and updates plus most of their features for $29 (USD) per month. 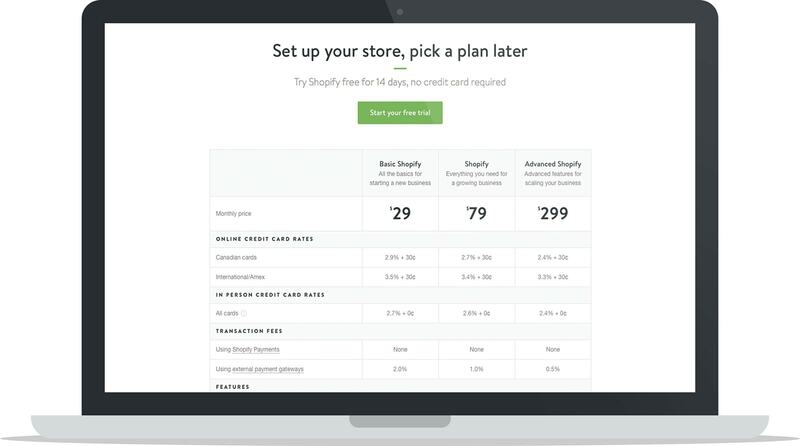 For better credit card rates and access to more features, their Shopify Plan is priced at $79 (USD) per month. 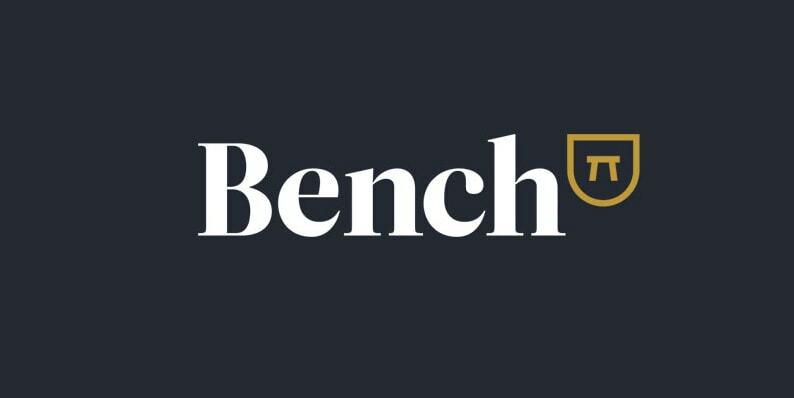 Finally, they also have an Advanced Shopify Plan aimed towards providing advanced features for scaling businesses which is priced at $299 (USD) per month. For most sole-proprietors, and for new businesses just starting out, the Shopify basic plan is usually the best option. It gives you access to all of the most important features at a very manageable monthly price. No matter what kind of store you’re running, or want to run, Shopify can handle it. Whether your business model is based on dropshipping, subscriptions, affiliates, occasional in-person sales, “Buy Buttons” embedded into blog posts, selling on Facebook, or any combination of these options, Shopify supports it all. If you’re unfamiliar with what dropshipping actually is you can check out our post about it here, but if you’re interested in starting a business with very little time and money to invest, dropshipping is one of your best options. Creating an ecommerce store with Shopify and pairing it with a dropshipping service is easy to do and you’ll have the ability to run it completely autonomously. Many dropshipping providers have apps in the Shopify App Store that integrate with Shopify stores making it a smooth process every time a customer places an order. This way you won’t have to forward orders to your dropshipper every time you receive one, it just happens automatically. 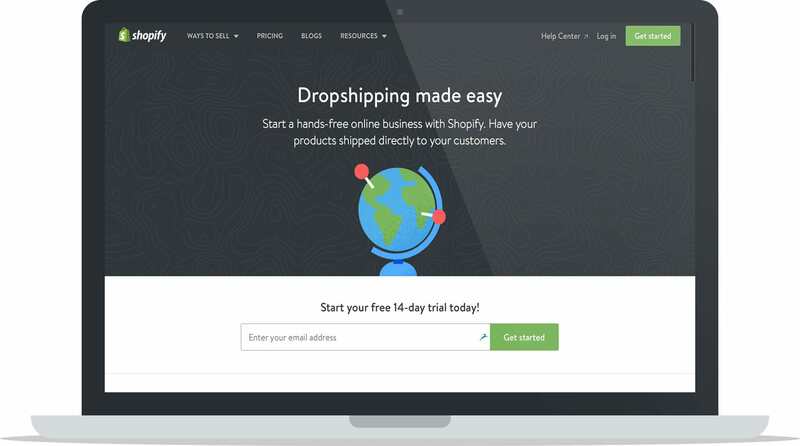 Learn More: Read more about how Shopify supports dropshipping business models here. 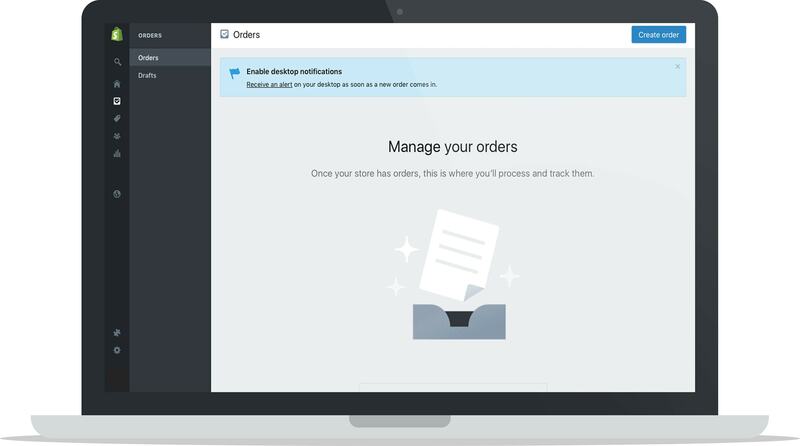 With one simple app integration, you can turn your regular Shopify store into a subscription service so your customers can have recurring orders placed automatically with no fuss. 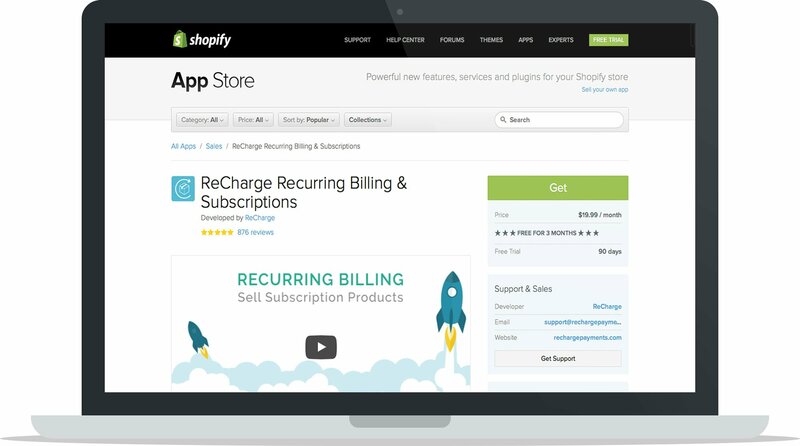 While Shopify doesn’t inherently offer subscription model pricing capabilities, the ReCharge App is your best option if you’re looking to operate a subscription service. Suppose you want to hold a pop up shop, or maybe your store has a booth at an event or festival where you want to sell your products in person. Shopify’s POS System makes it possible to integrate your ecommerce sales with your in-person sales easily and efficiently with their special POS software. With this system you can accept credit card payments anywhere, on any device, your inventory is updated in real time and your data is stored online just as it normally would be. This way your business can move with you wherever you go and support you and your customers wherever it’s most convenient. For a seamless on-the-go payment experience, use Shopify’s wireless Chip & Swipe Card Reader to sync effortlessly with your Shopify store when you’re selling in person. It has certified EVM chip technology, industry-leading encryption, accepts all major credit cards, oh and it’s free for businesses that are new to Shopify POS. Can it get any better than that? Learn More: For more information regarding Shopify’s POS System, check out this page and for more information about the Chip & Swipe Card Reader, check out this page. Monetize your blog without having to create an entirely separate platform just by adding Shopify Buy Buttons to your blog posts. You’ll be able to access all the usual Shopify features such as your order history, customer contact information, tracking information, sales analytics and Shopify Apps, but the entire shopping experience can take place on your blog so your customers don’t have to be re-directed anywhere else. Learn More: For more information regarding blog or website buy buttons, check out this page. 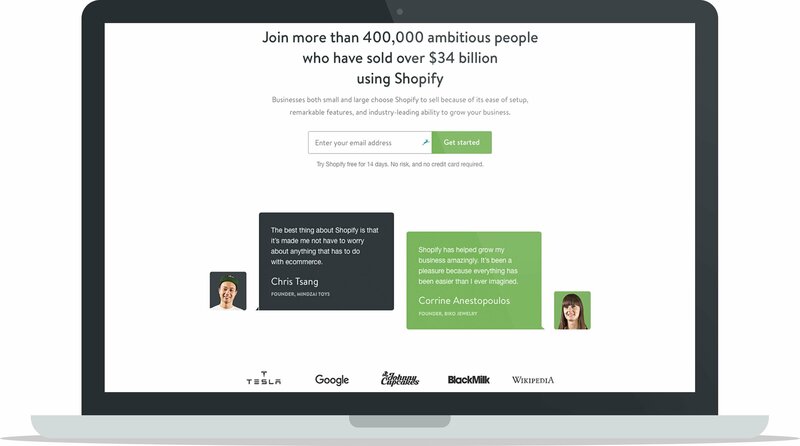 Sell on Amazon, the world’s largest online marketplace, directly from your Shopify dashboard. With 8 supported product categories – clothing & accessories, health & household, beauty & personal care, home & kitchen, patio & garden, sewing, arts & crafts, sports & outdoors, and toys and games – you can get your products in front of Amazon’s huge audience of customers and manage your sales and inventory smoothly and seamlessly. Monitor all transactions in one place, create Amazon listings directly from your Shopify dashboard, manage your inventory so it’s always properly accounted for, and fulfill orders as usual. Add the Amazon sales channel and learn more about it here. With eBay’s massive active customer base of over 171 million people, don’t count it out as a viable and valuable sales channel for your Shopify store. Shopify’s integration with eBay makes it easy to sell your products directly to eBay customers through your Shopify dashboard as you can manage listings, track inventory, reconcile your revenue, communicate with customers and more, all within your Shopify dashboard. Save time, sell to a larger customer base and earn more revenue seamlessly within Shopify. Learn more about how to sell on eBay with Shopify here. 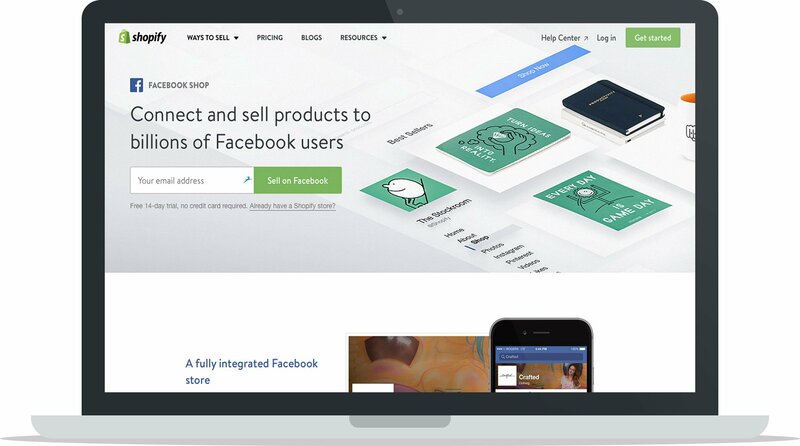 Similar to how you can monetize your blog with Shopify Buy Buttons, you can sell just as easily on Facebook so your customers don’t even have to switch platforms. You have access to all the Shopify features that you normally would but you don’t have to redirect your customers to another website, let them shop right on Facebook. By selling on Facebook you’re also exposing your business to an online area with lots of organic foot-traffic that you can take advantage of to grow your reach. Learn More: For more information regarding selling on Facebook with Shopify, check out this page. Similar to dropshipping, if you’re interested in selling online without investing a lot of time and money into it, running an ecommerce store selling products via affiliate links can be an attractive option. 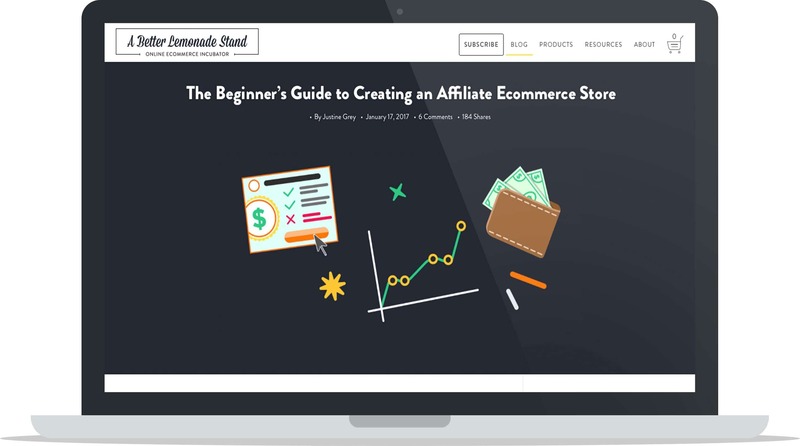 If you’re new to selling via affiliates and want to know more about how it works, we wrote a blog post all about how to set up an affiliate store for beginners that discusses how to set one up on Shopify, so we recommend checking that out. Shopify supports affiliate stores through simple app integrations which allow you to promote a product from another store, like Amazon, and link to it via your affiliate link. If you’re selling your products across multiple channels such as your online store, POS system, buy button, Facebook, and more, Shopify makes it easy to house all your information and data on one unified platform. You’re able to keep track of sales and inventory easily so you don’t make mistakes, and when it comes time to measure analytics and accounts, all the necessary info is in one spot. 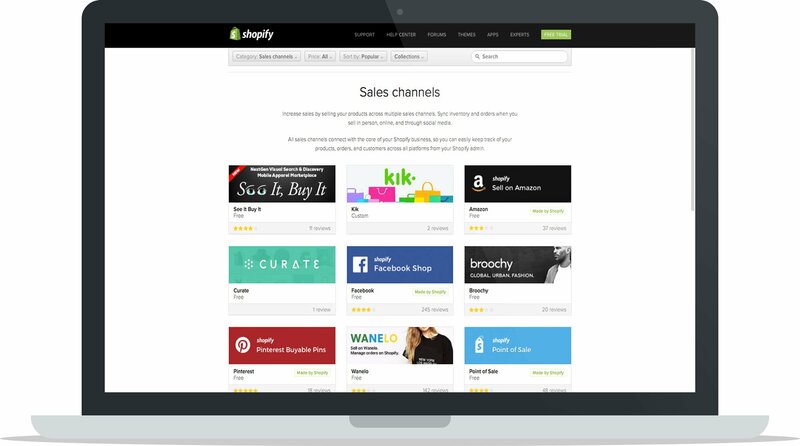 Shopify currently integrates with popular channels such as Amazon, Pinterest, Facebook, Wanelo, Houzz, Wish, Kik, Buzzfeed, and many more. Learn More: For more information regarding Shopify’s Sales Channel Integrations, check out this page. 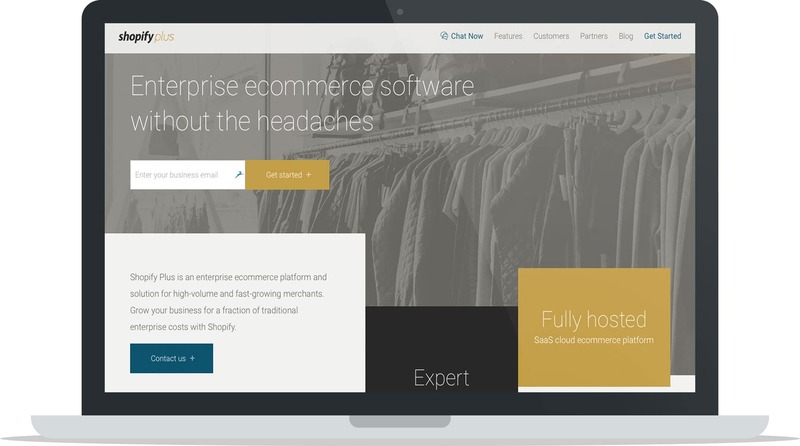 For businesses that operate at a high volume of sales, Shopify Plus offers a scalable ecommerce platform that can fit your individual business’ needs. 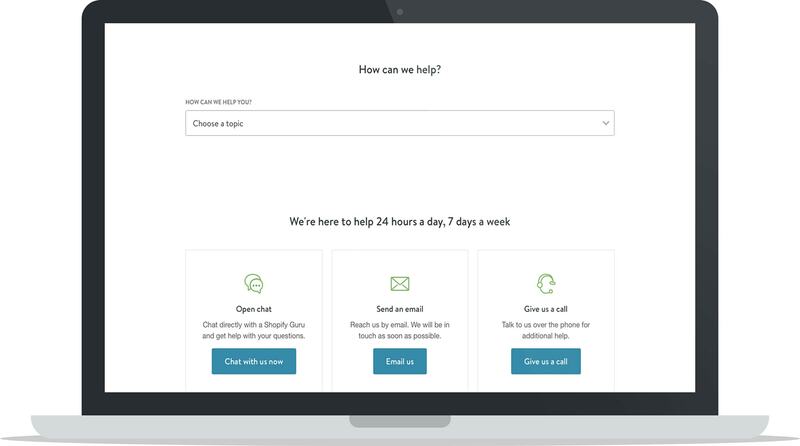 Shopify supports high volume businesses by providing the same hosted service they do for every other business, just on a much larger scale, making it a much simpler process to manage. 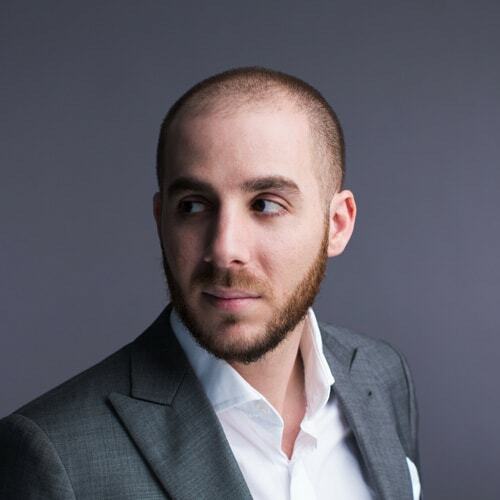 Shopify also places an emphasis on partnering with Shopify Plus merchants to help them better strategize their growth and maintain their competitive edge. Learn More: For more information regarding Shopify Plus, check out this page. 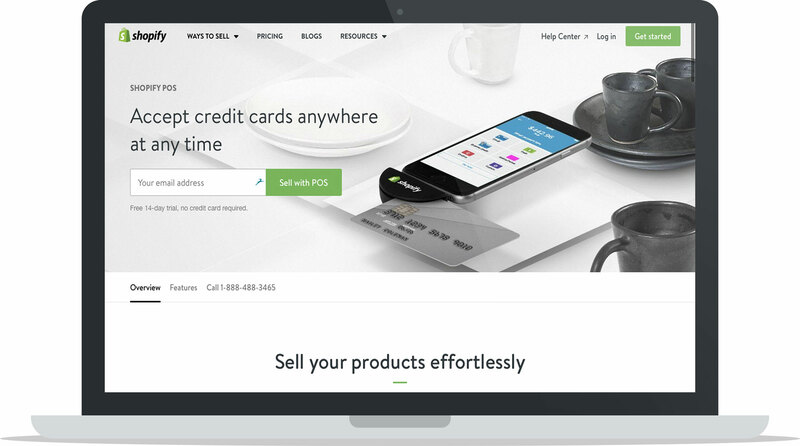 Use Shopify’s convenient payment processing system to help your customers check out faster. Using this secure system all shoppers will have to do is enter their email and an expirable 6-digit verification code to make a purchase, which shortens the checkout process from several fields down to two. 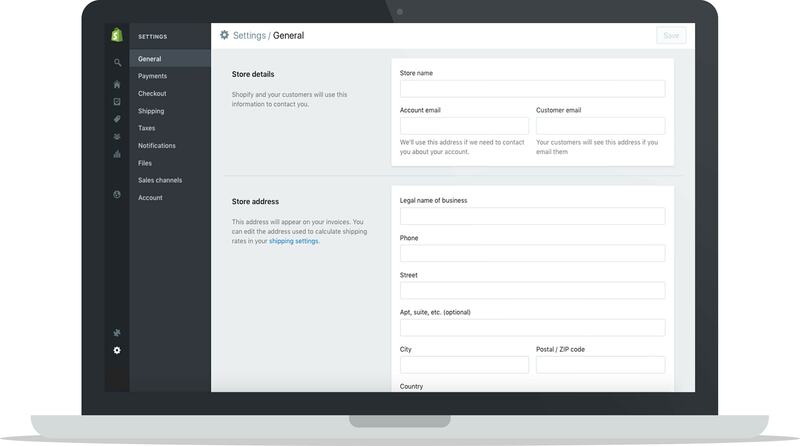 No longer will your customers have to fill out repetitive information like their shipping and billing information, Shopify Pay will have the necessary information pre-filled so all it’ll take is a couple of clicks or taps to completion. As a merchant, this will make your checkout completion time lower which will help to increase your conversion rates as customers have a limited amount of time to exit out of the shopping cart. It also gives your customers a better experience as they can use Shopify Pay across all Shopify stores, so checking out will be a lot less hassle for them, too, and it works on any device or browser. Learn More: For more information regarding Shopify Pay, check out this blog post. With great service comes great responsibility. 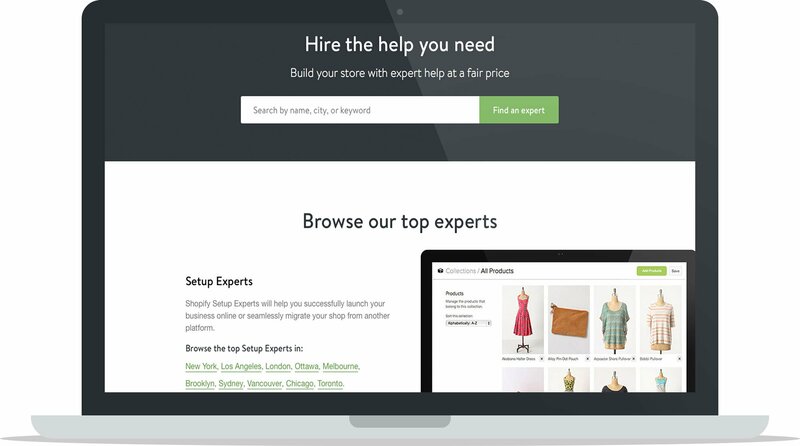 Shopify recognizes how powerful their ecommerce software can be when their customers know how to properly use it, so they focus on educating Shopify users through their blog and support pages and offer additional assistance through their experts directory. For any and every ecommerce related topic or question, Shopify has most likely covered it on their blog. With everything from knowledge, inspiration, announcements, and updates to case studies, analytics, experiments and how-to’s, there’s something on their blog to pique everyone’s interests. 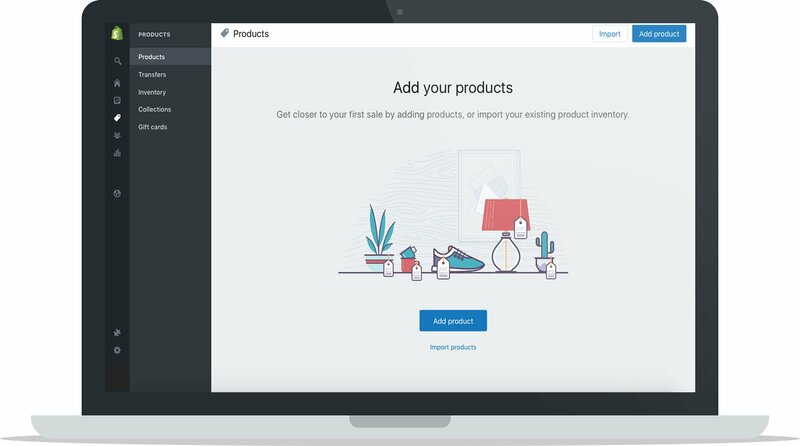 Their support pages give detailed instructions to help any Shopify user with even the smallest amount of computer know-how create their own store on Shopify. This is the best place to get answers to any technical questions that occur when setting up a store and it’s a great place to browse around as you’ll likely to find tips, tricks, and solutions for design and development preferences you hadn’t yet considered. You really can take your store to the next level with the Shopify support pages and Shopify provides instructions so you can do it all yourself. To make changes to your store that are more complex and you either can’t find your questions answered on the Shopify support pages or it has been listed as an advanced procedure, you can make use of the Shopify Experts team. These experts are, well, experts in their field and, for a fair price, they can help you solve any technical issues to turn your store into what you want it to be, or to fix any issues you might be having. These experts are super handy to have around as they make the experience with Shopify an even higher caliber. 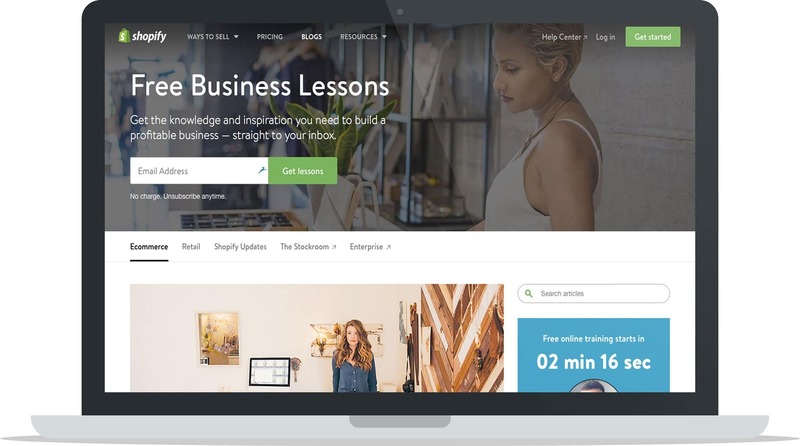 Learn More: To solve any setup, design, development, marketing and photography problems you may have, check out the Shopify Experts Directory. For even more Shopify specific help, check out HeyCarson. There you have it, our comprehensive review detailing the reasons why we think Shopify is the best ecommerce platform for any entrepreneur to use, no matter the business model, size or experience level. It’s inexpensive, easy to manage, hosted, and supports startups, large companies and every kind of business in between. Their blog provides thorough support for users, plus they have a dedicated team of Shopify Experts available for hire to help you with various tasks related to your business. Their app store boasts the most innovative, relevant and up to date apps available for ecommerce stores, and they’re easy to integrate into all Shopify stores, making them operate more efficiently and effortlessly. Shopify is our preferred ecommerce platform, but don’t just take our word for it, try it out for yourself.